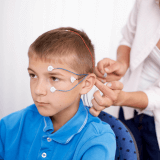 Personalised Neurofeedback is a therapy shown to help adults and children over 6 years old with sleeping difficulties and issues with attention and impulsive behaviour. 30 – 40 Neurofeedback sessions are usually needed for the brain to have learnt the new, beneficial patterns. Sessions held at least two times per week. Neurofeedback is suited to children and adults who do not respond to traditional medication management for ADHD and sleep disorders. Neurofeedback is a treatment approach which measures brain activity via electrodes placed on the scalp, with activity then visualised on a monitor. 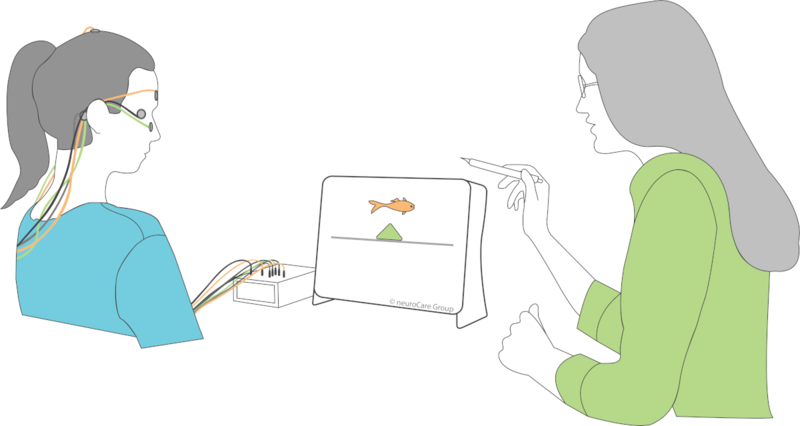 This allows a person to voluntarily control brain activity by influencing the signal on the screen. Over a gradual learning process, the brain is rewarded for changing its activity to more appropriate patterns. The underlying causes of inattention, hyperactivity or sleep difficulties are not necessarily the same in two people. Because of this we create therapy programs which look at individual brain activity of the person, whether they be a child or adult. 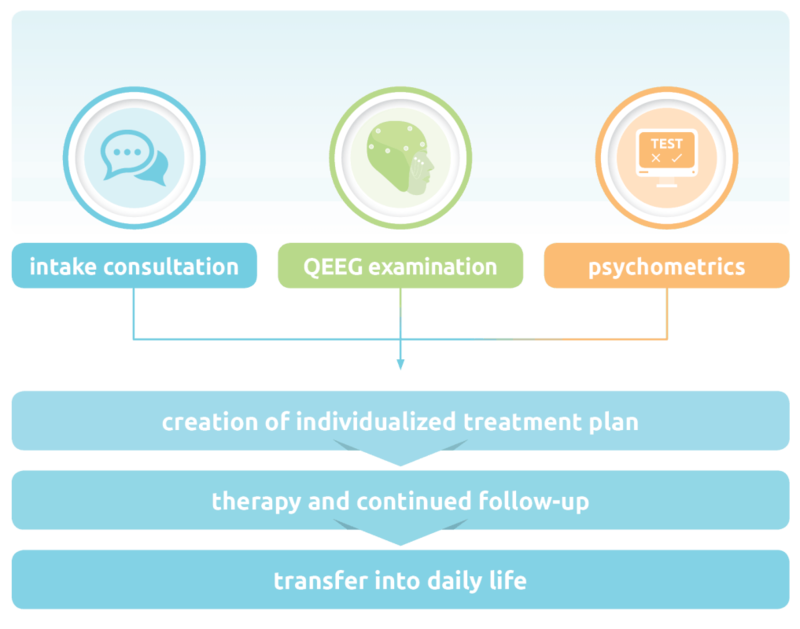 This is done by asking each patient or client to do a Quantitative EEG (QEEG) examination with psychometric assessment, to take into account biological, psychological and personal factors. By doing a 7-day Actigraphy in the beginning as well, we can look at Sleep / Wake behaviours to see if this could explain some of the symptoms we are seeing. From this assessment the therapist will come up with a therapy program that is more likely to help the client (for scientific evidence on this see Arns et al. 2012). 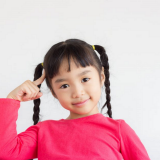 Are you considering Neurofeedback for you or your child? Who is Neurofeedback suitable for? Please write to us below, briefly telling us about your situation and how you think we may be able to help. A staff member from one of Melbourne or Sydney clinics will be in touch.